360-degree 7.4MP image and 4K UltraHD video capture and live stre with one click. 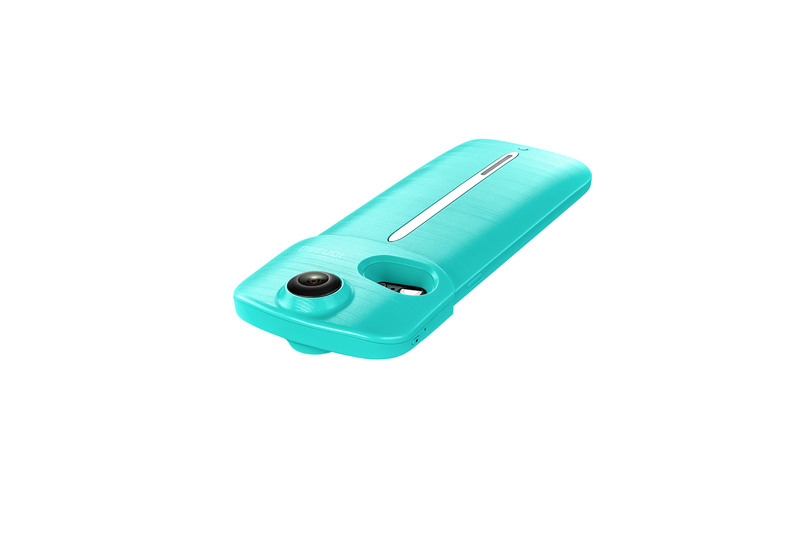 Battery charging case keeps your phone powered and protected so y never miss a moment. Compatible with iPhone 7, 7 Plus and Samsung Galaxy S8, S8+. 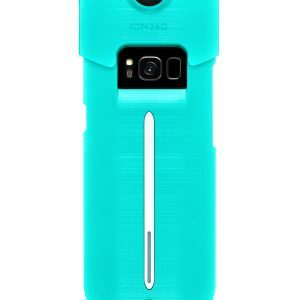 Share your photos and videos directly from your ION360 U with your friends and family on Facebook and YouTube. 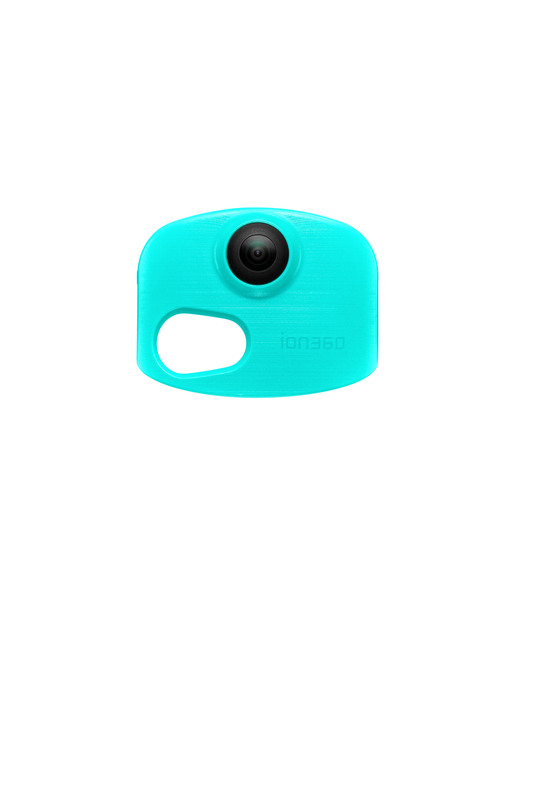 Simply snap the ION360 U camera onto your smartphone to instantly launch the app. 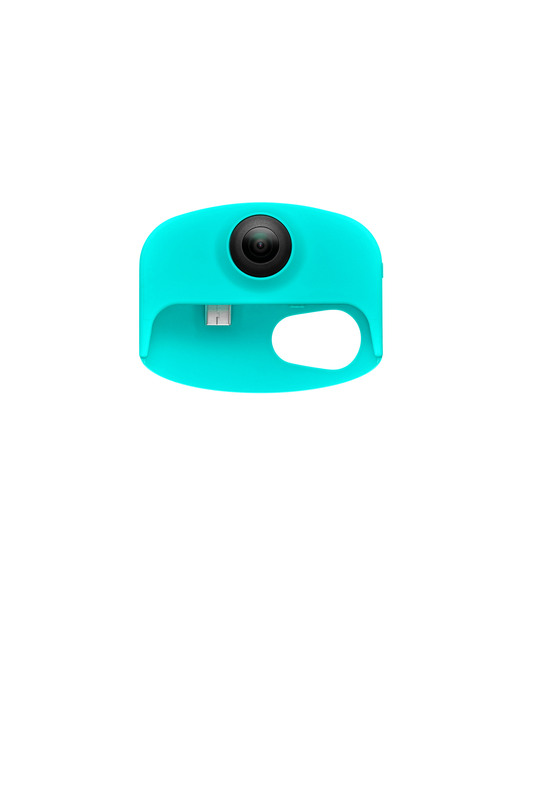 Capture amazing, immersive 360-degree 7.4MP images and 4K videos. Instantly share, or go live, on your favorite 360-friendly social media platforms. Tell your story from every angle. With 360-degree to explore, you and your followers will discover something new with every view. CAMERA: 2.24 in x 2.88 in. x 1.18 in. 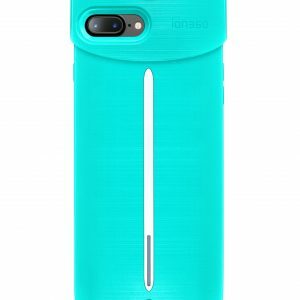 CASE: 5.89 in. x 2.76 in. x 0.54 in. 360 U: 7.02 in. x 2.88 in. x 1.18 in. 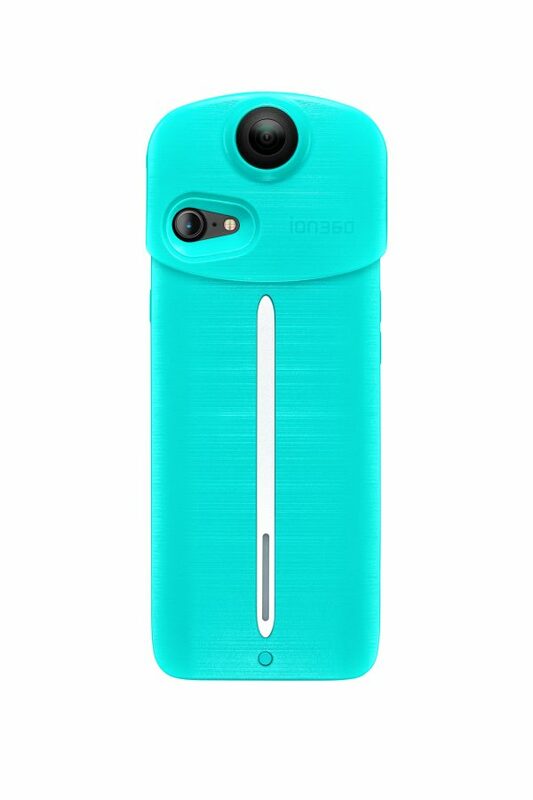 ION360 U camera is powered by the ION360 U battery case and will not draw any power from the phone. 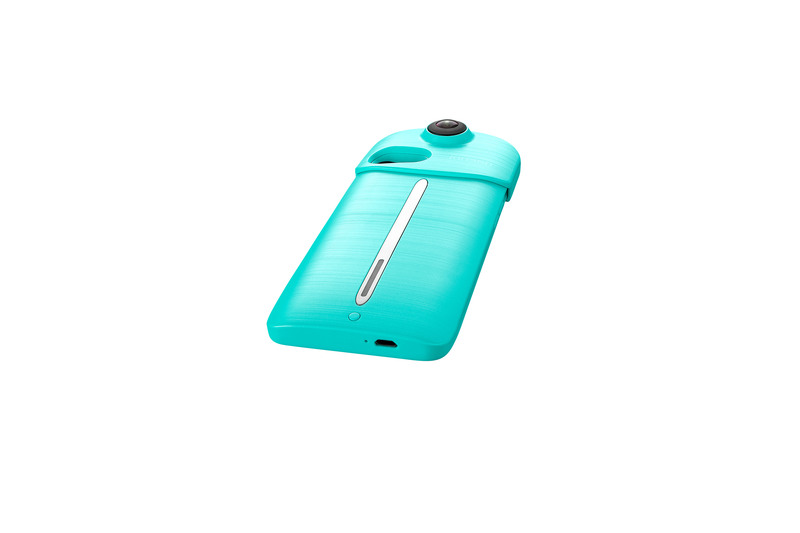 Battery life 100(+/-10) mins, 1,260mAh (when case is fully charged to power the camera). Records up to 4K UltraHD video in 30fps. 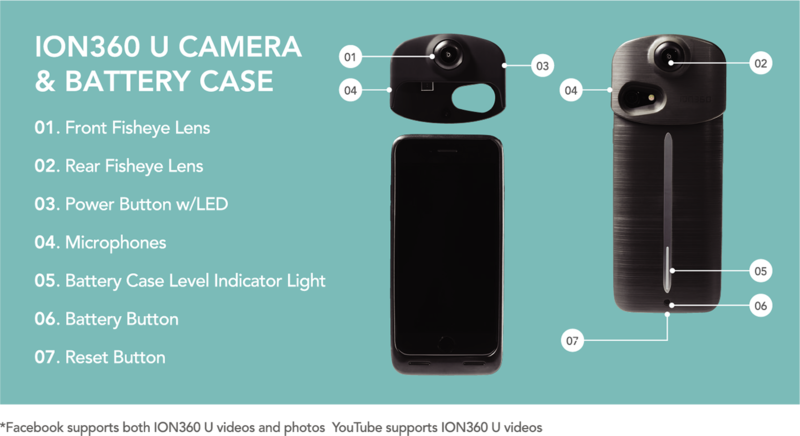 Features two cameras each with 7.4 megapixels and 200 degrees POV that can be perfectly stitched to true 360-degree videos and images. 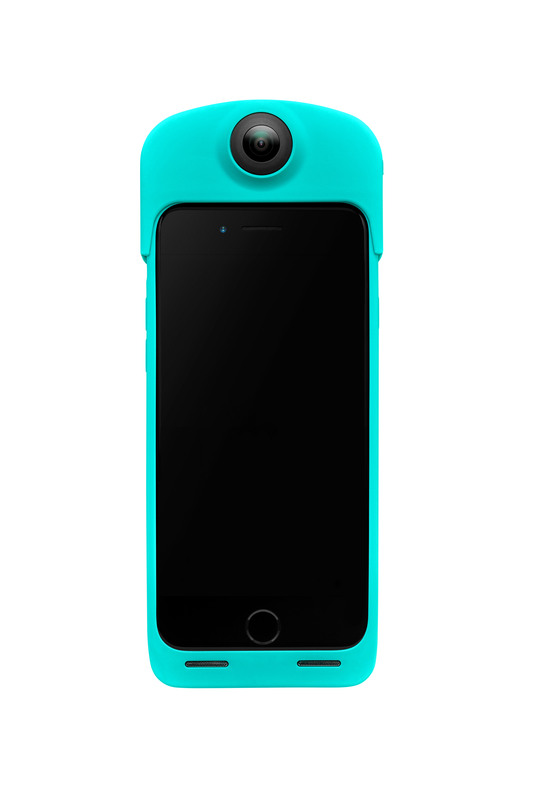 Seamless hardware/software integration through the ION360 U app aligns your smartphone camera with ION360 U to create the 360-degree view. View trending streams, get premium content and manage your own unique content – all in the app!